0/3 Months - $56.99 6/9 Months - $56.99 12/18mo - $56.99 Only 4 left! The mouse, for an animal that so many people claim to be afraid of, has many fans throughout literature and movies. Sure, they might not be welcomed into our houses. They leave little messes in the kitchen, chew on anything they think looks tempting, and make noises in the night, just as you're falling asleep. Isn't there someone else in your life that does all those things as well? There's no shame in finding similarities between your child and these sweet little nibblers. Whether your kid is quiet as a church mouse or your little one tends to play when the cat's away, mice have proved to be lovable again and again. Who knows why we humans find them so irresistible even though we fight so hard to keep them out of our cupboards. We could find them sweet because of their shining velvet coats. Maybe it's the way they're always cleaning their faces. Or it might be their over-sized ears, constantly listening for danger. Actually, we're pretty sure we have a soft spot for them for the same reason we love babies. They're so small without any way of protecting themselves, they're just there surviving at the bottom of the food chain, how could we not feel for them? 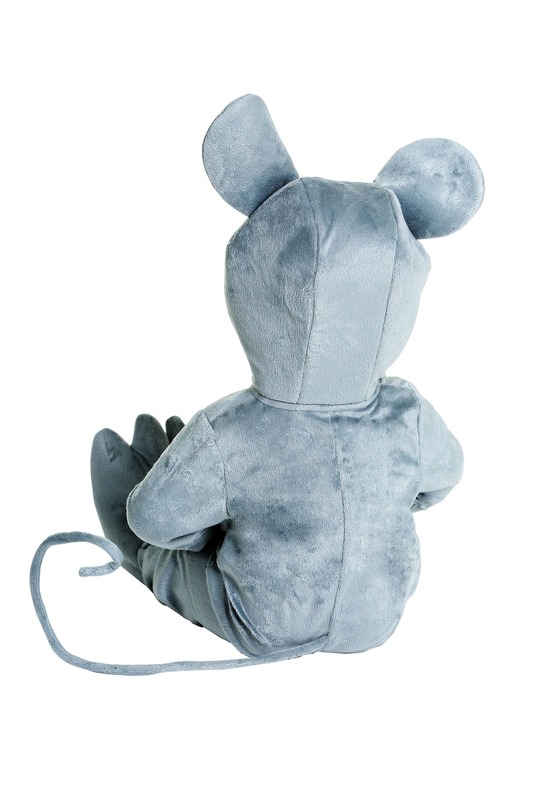 Whether you're dressing your little as one of the many famous mice in the movies, cartoons, and books or you're simply celebrating the underappreciated everyday mouse, your little one is sure to attract just as much attention as a real mouse at a gathering, only with a much more positive effect. Even the most steadfast rodent hater is sure to let out an involuntary, "Awww". Perfect for a group costume on Halloween or for those occasions that simply call for extra cute factor. Either way, you can be sure your mouse will be a welcome guest in any house.